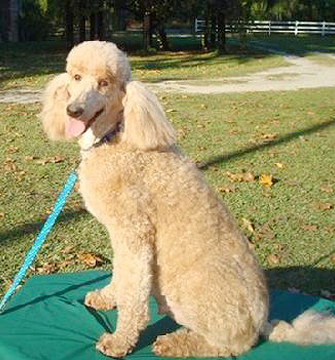 You may be wondering, “Why choose this dog breeder?” TUCKERS DOODLES AND POODLES is a reputable breeder of Standard Poodles, Goldendoodles, and Golden Retriever Puppies based in Augusta, Georgia. Debbie and Duane breed and raise their puppies from their own stock, striving for great temperaments and health. Each puppy and adult dog is well taken care of and treated as members of their family. Contact us for more information about our Goldendoodle, Standard Poodle, and Golden Retriever puppies for sale in Augusta, GA.
We raise and take care of our Golden Retriever, Goldendoodle, and Standard Poodle puppies in our home. Clean, well-maintained environments are essential to the health and happiness of puppies and full-grown dogs alike, so we diligently maintain our facilities. They are equipped with heating and air so that our puppies and dogs always have a place to be when the weather outside gets unpleasant. Our dogs and puppies are allowed outside for playtime and exercise on a daily basis. However, when the weather takes a turn for the worse, they are always safe and dry inside. We care for our Goldendoodles, Standard Poodles and Golden Retrievers like they're family because they truly are to us. We make sure they get all of the care and attention they need to grow up big and strong. 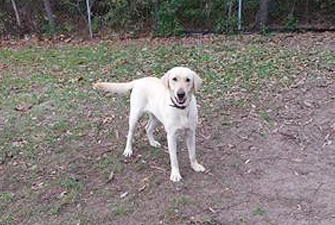 We raise our puppies to have good, stable temperaments so they'll make great companions. In general, we go above and beyond to make sure our puppies receive the best care possible. You already know that we take excellent care of our puppies, but it doesn't end there. We make sure that our puppies are up to date on their vaccines and dewormings. We feel that it is our responsibility as a breeder to make sure that all of our puppies are taken care of in every way. This is why our puppies are microchipped for permanent identification. Also, all of our puppies are registered with the American Kennel Club (AKC), the Continental Kennel Club (CKC), or both.